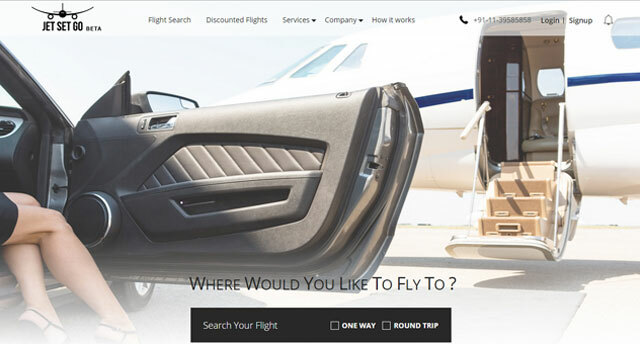 Cricketer Yuvraj Singh-backed YouWeCan Ventures has invested an undisclosed amount in JetSetGo, said to be India's first marketplace for private jets and helicopters. JetSetGo, which was founded in 2014 by Kanika Tekriwal and Sudheer Perla, is the fifth company in which YouWeCan has invested. JetSetGo provides charter customers the option of booking a private jet online, as per a press statement. "I see a lot of potential and aggression in the brand to give its best to the customer bringing much needed change in the private aviation sector which was long awaited," Singh said in a media statement. Despite established business models globally from fractional ownership to jet loyalty programmes, India still lags behind international peers as private aviation comprising less than 15 per cent of air traffic in the country's skies. Perla, co-founder of JetSetGo, said "Our clientele not only comprise corporate houses, sports personalities, celebrities or high net-worth individuals but also those who see value in quick and easy connectivity to locations still not served by commercial airlines." In April, Singh launched YouWeCan as a $10 million seed-stage venture capital fund, along with business associate Nishant Singhal to back internet startups in the country. Prior to JetSetGo, YouWeCan put money in Vyomo (beauty services), Moovo (cargo logistics), Edukart (online education) and healthians (online healthcare). The average ticket size of YouWeCan's investments are in the Rs 10-25 lakh range.